The study of dense stellar systems has constantly been an active area of research since half a century. Such systems, which mainly refer to young massive star clusters, globular clusters and dwarf galaxies, play the role of building blocks of the structures in the Universe. This is why it is crucial to understand them. Dense systems of stars present enough challenges to basically all schools in astronomy and in all wavelengths. Young systems challenge an optical/infrared observer to extract the stellar ingredient, their motions and distributions by overcoming the dense crowding of stars. Older systems puzzle one with large over-populations of exotic objects of a wide variety - millisecond radio pulsars, "blue-straggler" stars and X-ray binaries. Old and dense star clusters are also ideal sources for the forthcoming ground-based gravitational-wave detectors. Our "classical" notion of a unique-aged globular cluster is also shaken as their number, with recent discoveries of multiple-generation stellar populations in them, is counting. On the theoretical side, a dense stellar system challenges theorists to cope with the formidable task of accurately calculating its relaxation under its own gravity taking into account all the relevant physical processes such as close-passages and collisions among stars, tracking of the evolution of individual stars and binary systems. It is a major challenge towards the physics of stars and stellar population on one hand and towards computational science on the other, making the study of dense star clusters a marked interdisciplinary topic. Young massive clusters and embedded infant systems challenge with the mechanisms of their assembly and thereby connect fundamentally with star-formation theories. 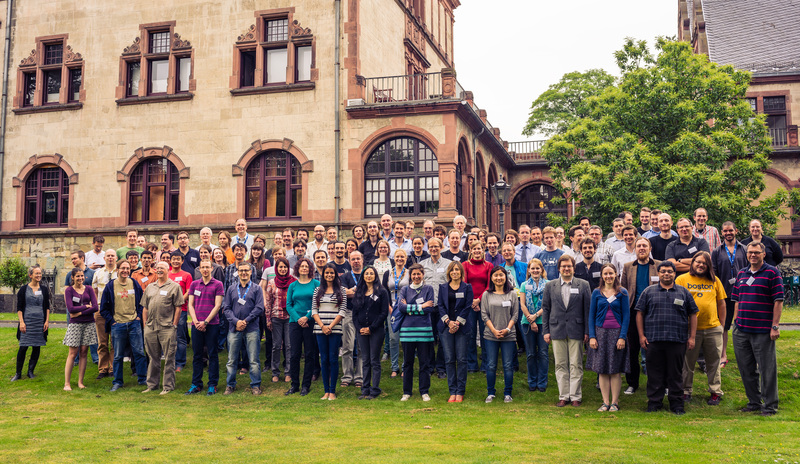 The objective of this international conference, which is a part of the MODEST (MOdeling [and Observing] DEnse STellar systems) series of meetings, is to gather observers and theorists at all academic levels from all over the world, with expertise on dense stellar population and closely related areas, to assess the current state-of-the-art. The meeting will consist of talks as well as topical discussion sessions. Such a timely event would not only facilitate to unify the ever-improving data and the theoretical models so far but would also perhaps shed light on the issues that are lacking understanding. The meeting will take place in the Bad Honnef Physics Center (Physikzentrum Bad Honnef) located at the foot of the "Siebengebirge" (the Seven Hills) and is very close to the bank of the Rhine River. The center provides a scenic and quiet surrounding and is equipped with sophisticated facilities. See the Participants tab for more clicks!